West Perth Women’s Football team, the team of The Red and The Blue. 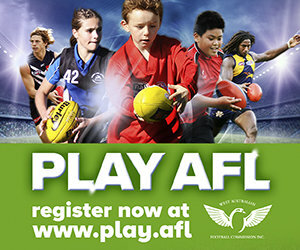 Affiliated with the West Perth District Football Development Council and playing within the Western Australian Women’s Football League. 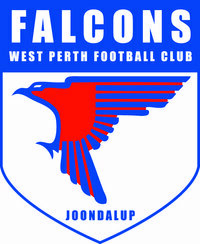 The West Perth Women’s Football Club, also known as The Falcons in the Women’s league was established in 2007 to give females in the West Perth District an opportunity to play an organised sport at the highest level. Our home games generally played at Arena Joondalup, Kennedya Drive, Joondalup. We have a close association with Wanneroo Amateur Football Club, where we play for the Pink Ribbon Shield at their "Ladies Day" raising awareness and funds for Breast Cancer Research. Also, with Butler Falcons an all-African girls team located in Butler. If you are interested in finding out more information or in fact joining the Falcons please contact the President on 0407 752 026.